** PLEASE ENJOY THE 3D INTERACTIVE VIRTUAL TOUR ASSOCIATED WITH THIS LISTING ** Beautifully perfect with an expansive lake view! This North Shore Condominium home has been meticulously maintained and is completely furnished (turnkey) with quality, tasteful furnishings and lovely accent pieces. As you enter, you will notice the home enjoys 20" ceramic tile flooring laid on the diagonal and freshly painted neutral wall colors throughout. The kitchen is well appointed and there is a sizable eating space and breakfast bar too. The great room is spacious (18x13) with a vaulted ceiling and it opens onto the tiled and screened lanai (13x6) with vinyl windows. This space can be used all year round and has a wonderful wide lake view. The master bedroom also enjoys the beautiful lake view and includes a pristine ensuite bath (11x6) with a 7x5 foot walk-in closet. This room is beautifully furnished with a king-sized bed! The guest bedroom with adjoining guest bath is tastefully furnished also and the guest bath is immaculate! The utility room is 7x7 in size and includes the washer & dryer and offers ample storage. This is a lovely place to call home and everything that you see is in excellent condition and stays! 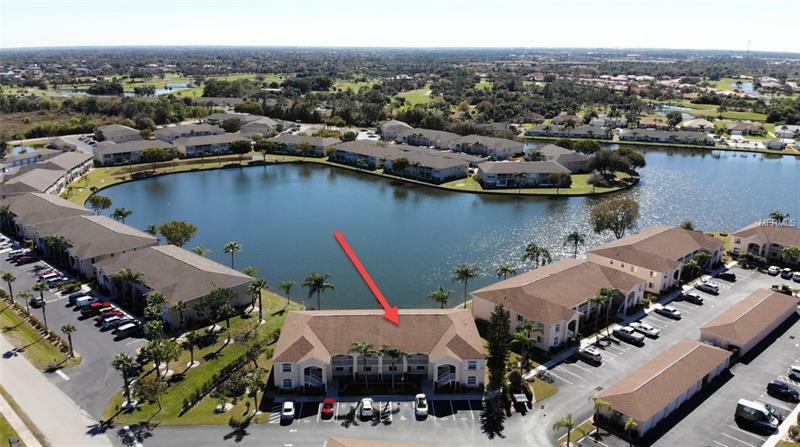 So make sure you don't miss this beautiful condominium home! !